As a property owner, you have an obligation to ensure that your home or business is protected at all times. The roof of your property is the first line of defense that it has against adverse weather conditions and the elements. If you need to install or replace a roof on your property, you need to contact a professional for help. At Allpro Contracting, our exterior remodeling experts specialize in roof installations in Southwest Chicago. Whether you’ve got a construction project that requires new roofing or you want to replace an existing roof system, our talented contractors can help. Since 1962, our locally owned and operated company has been proud to serve residential and commercial property owners in Southwest Chicago. Throughout this time period, we have been dedicated to adding years of value and enjoyment to our customers’ homes. When you hire us for your roofing installation project, we will bring this dedication to excellence to task for you. If you need to hire a professionally licensed Southwest Chicago remodeling contractor who specializes in roof installation services, call Allpro Contracting. Our polite and dedicated staff would be happy to take your call and to assist you in any way that we can. Our knowledgeable experts can answer any questions that you may have about your prospective roof and our exceptional services. We can schedule your appointment today. At some point in time, every roofing system needs to be replaced. Generally speaking, an asphalt shingle roof can be expected to last anywhere from 15 to 25 years. If your roof is reaching this age range and in need of repairs, it may be time for you to consider replacing it. 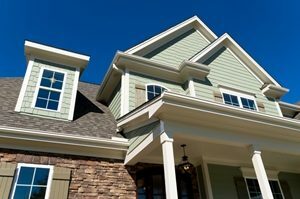 Our Southwest Chicago exterior remodeling contractors can inspect your roof to help you determine the best course of action. If it is more cost-effective to replace your roofing system, our professionals can guide you through the entire process. We can help you select and install a beautiful, highly protective, and long lasting roof for your home. At Allpro Contracting, our Southwest Chicago roof installation contractors have the knowledge, skill, and experience necessary to help you with all your flat roofing needs. Flat roofing has long been popular for commercial properties; however, it is also widely used for residential properties as well. Our highly skilled professionals can install or replace your flat roofing system for you. We will conduct the task in the quickest and most precise manner. After our efforts, your new flat roof will provide your residence or business with the highest level of protection for the longest time period possible. If you would like an estimate for a new roof installation in Southwest Chicago, please call 708-658-3500 or complete our online request form.